A weekend retreat featuring eight accomplished and extraordinary women prepare to share with you the knowledge, tools and strategies that helped them become who they are and help countless others just like you. Topics include: fitness, spirituality, alternative healing , performance excellence, nutrition, goal setting and finances. 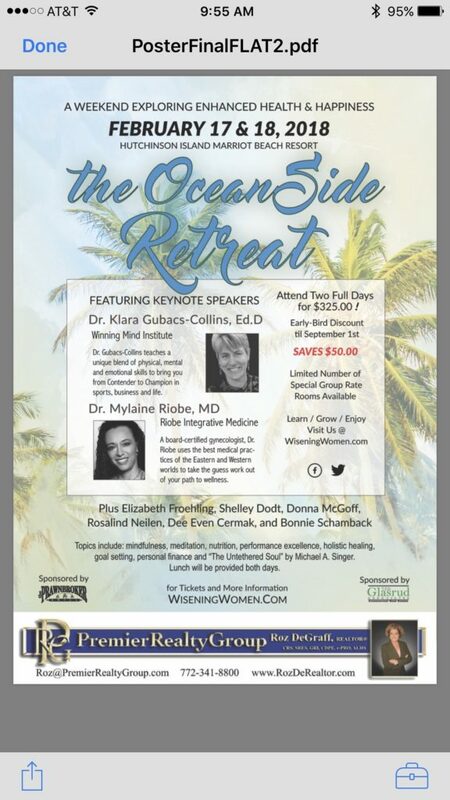 More can be learned about our event at wiseningwomen.com Individual Tickets are $325 but can be purchase 4 or more for $275 for the two days. We have rooms set aside at the Marriott Hutchinson Island for $199 so you can make it a Staycation!